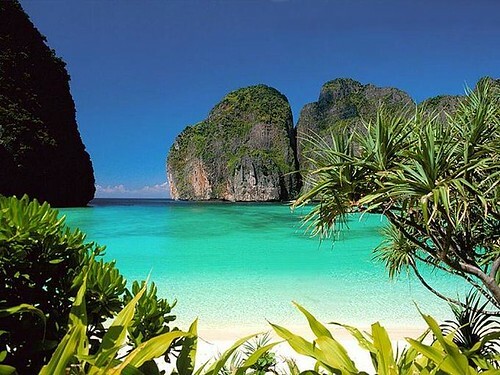 Maya Bay is an unbelievably beautiful bay on Koh Phi Phi Leh that’s sheltered on three sides by 100-metre high steep limestone cliffs. Its main beach is around 200 meters long with silky soft white sand, colorful coral reefs and exotic fish in exceptionally clear water. It’s paradise!